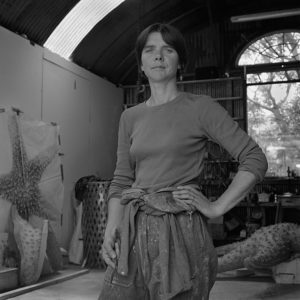 Born in Kerry in 1966, Rachel is an honours graduate of NCAD having received a degree in Sculpture in 1989. She received her first commission in 1988 and also spent this year at the Edinburgh College of Art in Scotland as an exchange student. She had her first solo exhibition, ‘Selene’, in the Project Arts Centre in Dublin in 1993 which then travelled to the Arts Council Gallery in Belfast the following year. In 1996 she had a residency and exhibition at the L’Imaginaire Irlandaise Festival in Marseille. She has worked on several commissions throughout her career so far – in Ireland, England and Wales. She has taught in the National College of Art & Design as well as co-ordinating workshops in IMMA and the Douglas Hyde Gallery. She has received many awards and is represented in the National Self Portrait Collection in Limerick. Rachel was elected an Associate Member of the Academy in 2004 and a full Member in 2005.